Gerald is in his late 70’s. 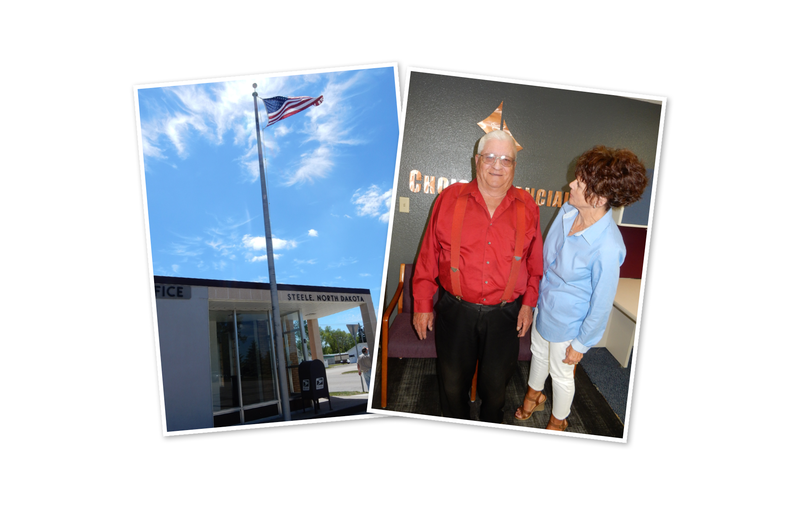 He lives in the tight-knit community of Steele, North Dakota, where he has been a customer at Choice Financial for decades — close to 40 years. He knows one worker pretty well, and her name is Robin Rewald. She’s a personal banker at Choice, and in her years of knowing Gerald, she’s learned that he has a habit of looking for… new opportunities. The scam, as always, was a classic get-rich-quick idea. It was an email that promised to multiply your money. All you had to do was mail a $400 cashier’s check, and you’d get back $400,000 (or more!). Gerald took the offer. He went to the bank and got a $400 cashier’s check from the teller. And then he went straight to the post office and mailed it Priority to the address they gave him in the e-mail. This isn’t the first time that the tellers at Choice have seen a scam attempt. It’s safe to assume that when someone offers to send you free money, they are trying to scam you. But in Gerald’s mind, it was worth the risk. As someone who is retired with limited income, the prospect of gaining so much money was especially appealing. Unfortunately, rather than earning more money, it looked like he had just lost a considerable amount instead. But the assistant who gave Gerald the cashier’s check was suspicious. She gave Robin a call the next day to let her know. Robin called in Gerald and when he explained the situation, she shook her head. “You were scammed,” she told him. She asked for more details, and Gerald told her the check was in the mail. Robin jumped into action. “We’re going to the post office,” she said. And off they went. There, they found out the check was already on it’s way to being delivered to somewhere in Delaware. They asked the clerk if there was anything they could do to stop a check in transit. “Not much,” he said. “But you can e-mail this address and try to stop it before it gets delivered.” He gave Robin an e-mail address for a postal office headquarters. Two and half hours and a handful of e-mails and phone calls later, Robin and Gerald managed to track it down. They requested the post office re-route the check before it was delivered. And it worked! Right away, Robin sat down with Gerald and set up an unbreakable rule: No responding to e-mails or phone calls without consulting her first — and certainly no sending money in the mail. She was gentle but firm with him, insisting that this not happen again. And he followed the rule. He came in to see Robin with information about various scams, and every time Robin explained why they were false. Yes, for many people, it would be frustrating. But for Robin it’s all a part of protecting her family. Header photo: LaVonne Mittleider, Gerald and Robin Rewald.